From the outstanding Our Stories series, come a compilation of influential Australian writers’ lives that left far more for history to relate than their writing. 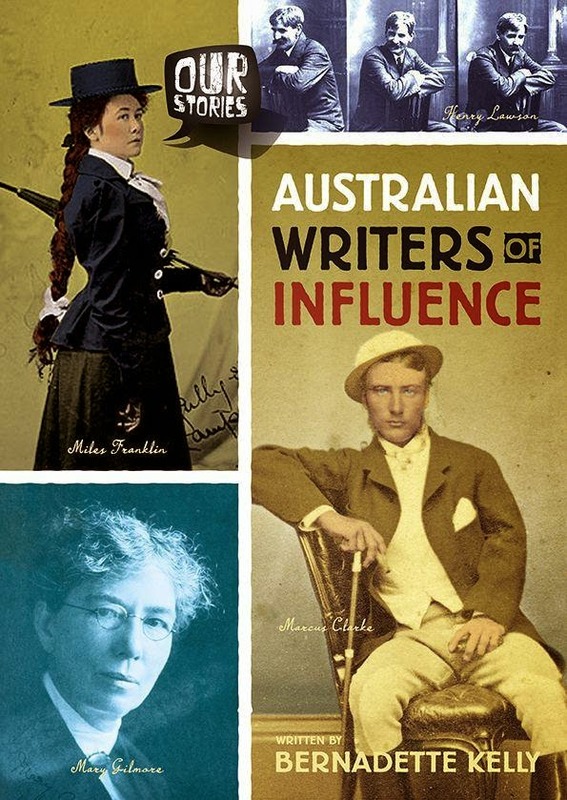 Free thinkers with strong views and at times radical in their approach, these ten people shaped Australian history with their contributions in and outside their writing lives. Its 32 pages are jam-packed with information, pictures, and little info blocks that cover historical facts bound to, and surrounding the same era as the person profiled. When Pen and Paper Ruled the World has an info box on Charles Tompson whose 1826 collection of poems, Wild Notes from the Lyre of a Native Minstrel were the first publication of poems by an Australian-born writer. Introduced is the life of Adam Lindsay Gordon which refers to his battle with depression and sad end that came soon after the publication of his Bush Ballads and Galloping Rhymes. Included is Marcus Clarke, famous for his work, For the Term of His Natural Life and the dynamic Louisa Lawson, mother of Henry Lawson who founded The Dawn: A Journal for Australian Women. It was the first magazine edited and printed entirely by women. William Lane was known as one of Australia’s most radical journalists, a convincing public speaker with powerful ideas on how man should live, and the creator of the Cosme Settlement in Paraguay. Mary Gilmore was a staunch supporter of Lane’s ideas, and she left her teaching career to go to Paraguay where she married William Gilmore. Her life changed design with the failure of the Cosme colony, for Mary returned to Australia. She became the first female member of the Australian Workers’ Union and editor of The Women’s Page in its publication, The Worker. Banjo Patterson, Henry Lawson, May Gibbs, CJ Dennis and Miles Franklin are all included, along with a few miscellaneous chapters. With a rich Glossary and Index, most of the image credits go to the SLV. This is an interesting and valuable reference book and teaching tool for children, aimed at the 8+ years age group.